"We had unsuccessfully tried for about a year to sell our house on our own. When we decided to select a realtor we interviewed three different ones. Micki Brodie, by far, was the most prepared with her marketing plan, her local statistics on what had sold, and sample brochures on how she would present our home to prospective buyers. Her ability to put together a great marketing strategy sold us on RE/MAX and on Micki! Thanks for the great job!" "Micki Brodie and her team are true professionals who provided all available resources and assistance to sell our home in a tough market." "I was very picky about who I wanted to sell our house. We had already had it on the market the previous season with another realtor and it hadn’t sold. So this time, I interviewed five realtors, Micki was one I chose from a brochure (a lovely one) that she had sent in the mail. Her motto was to “go the extra mile” which I felt she did. I also needed to know that it was just as important to her as it was to us to sell our home and I can honestly say she did make us feel important. Now that our home has sold, I see all the numerous listings by Micki Brodie as I bike around the community. I can now really appreciate the time she gave us with as busy as she truly is." "I just wanted to thank you for assistance in selling my home. It was a great experience working with you ... you’re the best!! Thanks." "Micki was recommended to me as an effective marketer so when I needed to sell my property quickly, I contacted her. What I experienced with her services were: excellent knowledge of the market and real estate; superior interpersonal skills; exception organization, service and thoughtfulness that truly sets her about others; and results. 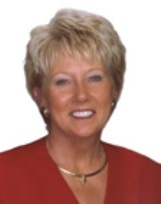 I sincerely recommend Micki for real estate services." "Micki and her committed team go above and beyond the call of duty. No question is too silly. They always made me feel important. Micki is the only realtor I’d recommend!! Thank you!" "Thanks for doing all the work making the selling of our home so unstressful. You were highly recommended to us and now we know why." "I had previously retained another broker in the Kalamazoo area, but he was not responsive to my requests, had neglected his responsibilities, and was unconcerned about my objectives. I was referred to Micki who showed up literally within an hour. She made quick assessments, asked the right questions and gave me competent, thoughtful, and practical advice. Our house was under contract in less than a month. I would recommend the Micki Brodie Team to anyone. Indeed, being out of town, the team handled all of the issues locally and kept me informed every step of the way. I didn’t even have to be present for the closing. I still count my blessing for the day Micki showed up and her team became my team!" "Thank you again, for your help and hard work on our behalf—we love our new home! We feel like you enabled us to get the price we wanted for our old house, locate our new home, and negotiate the offer to our benefit. Your attention to detail and availability for our questions kept our worries to a minimum throughout the process." "I first met Micki Brodie when I was trying to sell my home on my own. She was working with the Buyer for my home. I liked Micki the first time I met her. She was friendly and personable and it was obvious that she was concerned not just for her client, but for me as well. Micki’s attention to detail, her communication and dedication helped make this time of transition for me much less stressful. Micki definitely focuses on her clients and their needs."